The world's largest food carnival, Restaurant Day, spread to more than 70 countries because it operated in a completely different way than popular consumer movements in general. Usually, the leaders of a movement determine what the movement does and then try to inspire others to join their vision. Restaurant Day, however, gave everyone an opportunity to be as creative as they wanted, say researchers from Aalto University, Finland. 'The participants found setting up a restaurant of their own a personally meaningful and ambitious project. It inspired people to participate and try something new each time the event was held. The movement's leaders were not essential – instead, every participant was. Moreover, many participants in Restaurant Day did not see their involvement as political activism, which further lowered the threshold for participation', Weijo continues. Restaurant Day invited people to test the limits of their creativity, regardless of their age and background. This attracted very different kinds of people to the movement. 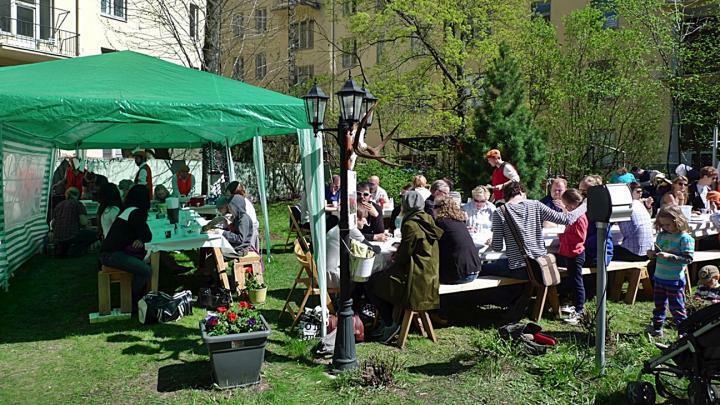 'What started as a small hipster movement rapidly grew into a popular festival where everyone, both old and young people as well as native Finns and immigrants, prepared food in perfect harmony,' Weijo explains. Originating in Helsinki, Finland, the carnival celebrated restaurant culture and gastronomy in over 2,000 pop-up restaurants in some 75 countries, on average four times a year. Having grown into a global phenomenon, the aim of the carnival was to revolutionise restaurant culture by cutting unnecessary, bureaucratic red tape. The idea behind the original event was that anyone could set up a restaurant of their liking anywhere for one day without acquiring the necessary permits. According to the organisers, Restaurant Day was a protest against the strict regulation of restaurants and a way to let off steam regarding the effects of regulation on gastronomy. However, researchers at Aalto University say that the revolution was carried out in a very Nordic way. 'The Nordic countries are consensus-minded societies that believe in societal change through traditional political institutions. Many popular movements end up marginalised if they fail to attract widespread popular support or party sympathies. In the beginning, the authorities and the owners of regular restaurants vocally opposed Restaurant Day. However, in the end it attracted such a wide range of participants that opposition was almost impossible', says Weijo. The Restaurant Day movement was initiated in 2011, and the organisers decided to discontinue it in its original form last year. However, the movement for pop-up restaurants that can be set up anywhere without permits will be celebrated on the anniversary of the first event, which is the third Saturday in May. The study in question has just been published in the Journal of Consumer Research, the world's most important scientific journal on consumer research.